No tricks, no complicated conditions, just purchase one of our super new Backyard Shacks and we will give you a choice of gift card as a bonus. The bigger the shack the better the reward, from $500 for our Studio or Flat model all the way up to $1,500 for the 4 bedroom weekender. Now that would really help fit out your shack the way you like it! So come in and see us, call us or request a quote on line now! Offer for a limited time only! * Gift card value is on a sliding scale based on the model of each shack, kit only. Gift card values start at $500 up to $1,500. To be eligible for the promotion the job must be paid to manufacture on or before 31st May 2015. The promotion only applies to new orders placed with a Dealer. Any existing order with a Dealer that is cancelled and reordered will not be eligible for the Gift Card. Maximum of one (1) Gift Card per order. The purchaser will be provided with a Bunnings or Harvey Norman Gift Card by Ranbuild Head office once manufacture payment is made. Due to the maximum value on any one Gift Card being $500, dependent on the value to be redeemed, multiple Gift Cards may be issued to make up the total value required (for example if the Gift Card value is $1500, the purchaser would receive 3 x $500 Gift Cards). Ranbuild and the Dealer are not responsible for any delays caused as a result of events beyond the control of Ranbuild, the Dealer or Bunnings or Harvey Norman. The Bunnings Gift Card is not redeemable for cash. 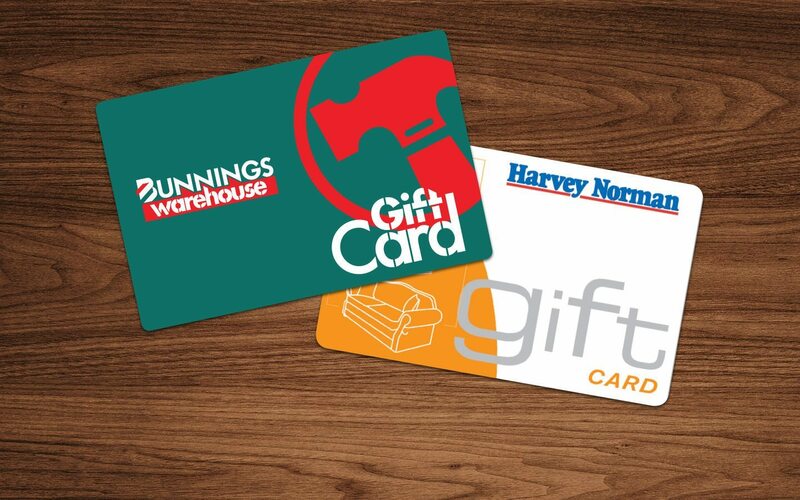 The Gift Card can be used towards the purchase of goods at any Bunnings store and can only be used once. When redeemed, the Gift Card must be relinquished to the cashier. Maximum change given is $9.95. The Bunnings Gift Card has no implied warranties and is not a credit card or debit card. Bunnings and Ranbuild are not responsible for lost, stolen or damaged cards. In the event that the Bunnings or Harvey Norman Gift Cards are not available due to state of emergency or disaster (including natural disaster) or any other circumstances beyond the reasonable control of Ranbuild and/or the Dealer, Ranbuild and the Dealer reserve the right to substitute the Bunnings or Harvey Norman Gift Card with an alternative product of equal value and/or specification, unless to do so would be prohibited by law and subject to any written directions from a regulatory authority. Ranbuild and the Dealer make no warranty, representation or other statement regarding the suitability or otherwise of the Bunnings or Harvey Norman Gift Card. No responsibility or liability is taken by Ranbuild and the Dealer for any loss, misplacement or tampering with the gift card that may render it void. Ranbuild may collect personal information in order to conduct this Promotion, and may, for this purpose, disclose such information to third parties, including but not limited to, Bunnings or Harvey Norman. The provision of a Bunnings or Harvey Norman Gift Card in connection with this promotion is conditional upon eligible purchasers providing the information required. Eligible purchasers should direct any request to access, update or correct personal information to Ranbuild.